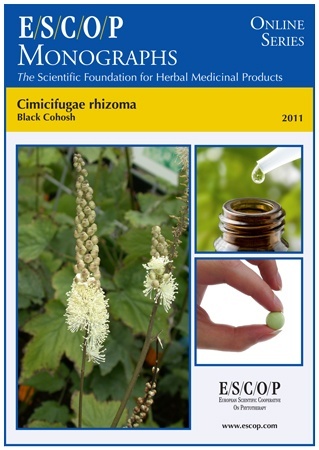 The herbal monograph selects and summarises scientific studies regarding efficacy, dosage and safety supporting the therapeutic uses of black cohosh.This herbal drug by definition consists of the dried and fragmented root and rhizome of Actaea racemosa L. [Syn. Cimicifuga racemosa L.], harvested at the end of the vegetation period. Studies with its main characteristic constituents triterpene glycosides and actein are included. The therapeutic indications are climacteric symptoms, such as hot flushes, profuse sweating, sleep disorders and nervous irritability. Administration of black cohosh addresses posology; its duration of use; contra-indications; special warnings; special precautions for use; interactions with other medicinal products; other forms of interaction; in pregnancy and lactation; its effects on ability to drive; undesirable effects; overdose. In vitro experiments with black cohosh demonstrate effects on breast cancer cells, affinity to the oestrogen receptor, as well as osteoprotective and neuro-vegetative properties. In vivo experiments in animals demonstrate a trend towards breast cancer reduction, endocrine activities, osteoprotective and central nervous effects. Pharmacological studies concern the influence of black cohosh on cholesterol and various serum parameters, also on breast-specific oestrogenic markers. Controlled and open clinical studies with various ethanolic black cohosh extracts, demonstrated its use for improvement of climacteric symptoms in patients with menopausal and post-menopausal complaints. Pharmacokinetics of orally administered black cohosh extracts and actein, were assessed in humans and animals. Preclinical safety data for black cohosh extracts and actein were assessed in acute and chronic toxicity and mutagenicity studies. 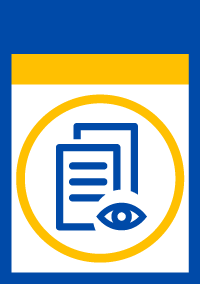 Safety data were assessed in human studies, adverse events were reviewed in controlled and open clinical trials. Mostly minor adverse events were reported and good tolerance for black cohosh was concluded. The selection of literature cited in the monograph is aimed at bringing together relevant information about the possible physiological roles of black cohosh and its major constituents.